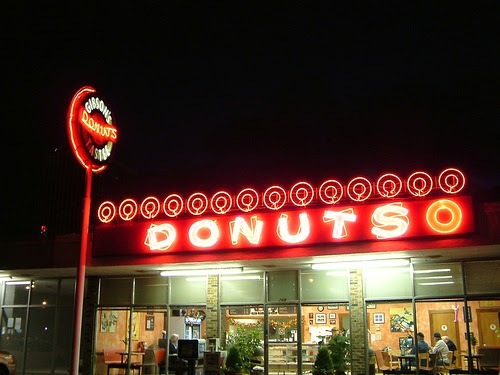 Gibson’s is Memphis for donut. To the Memphian, Dunkin, Krispy Kreme, and all other challengers are second best. Gibson’s is open 24/7 and in prom season you can find lots of tuxedos and sequins late into the evening as the kids come here for a donut nightcap. Special Advisory: If you are from out of town and tasked with bringing donuts for church, work or school, this is the expectation. All other stores will win you the social equivalent of the participation ribbon. Consider yourself warned. Gibson’s offers an excellent variety ranging from standard glazed, chocolate and blueberry to more extravagant red velvet cake and maple bacon. 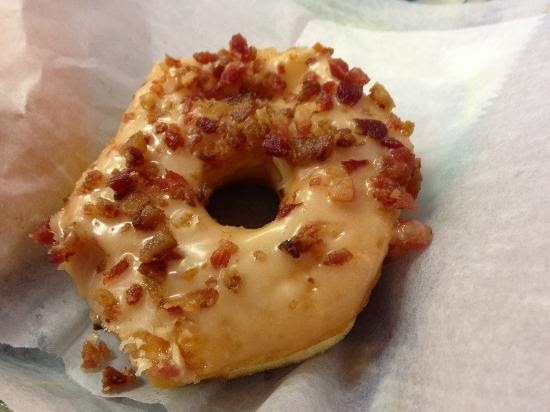 Yes, I said bacon donut. Its real bacon. Its real good. 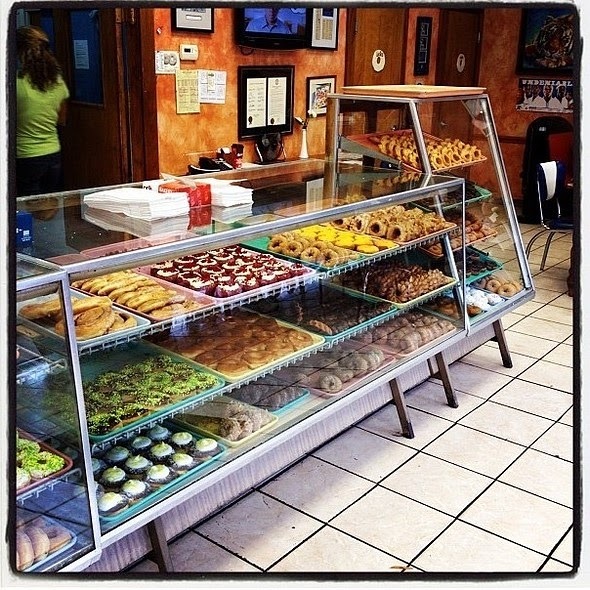 Local’s tip: After 11, donuts go to 6 for $1.25. 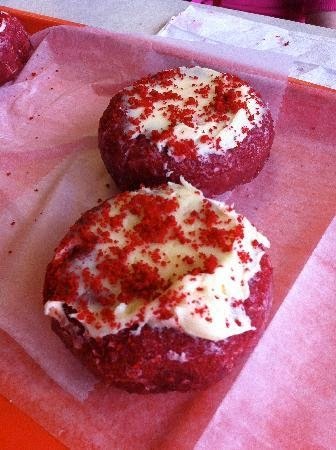 This entry was posted in Charlie Sierra, Donut, East Memphis by Trevor Knight. Bookmark the permalink.